In September 1993, the Hong Kong Government allocated a sum of HK$570 million (US$73 million) for the implementation of a five-year Information Systems Strategic Plan in the Education Department. About forty percent of the sum is for the School Administration and Management System (SAMS) project. 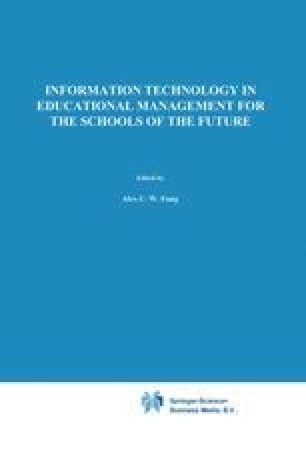 This paper aims at sharing the experience of implementing that project in Hong Kong schools. Extensive user participation and carefully planned implementation tasks are the key elements in the SAMS project. The paper describes the mode and the extent of user participation and the major implementatation tasks required. Management issues arising from the implementation of SAMS are highlighted and the way forward in the management of the project is proposed.